My, oh my. What an absolute hidden gem. It’s one of the most sparsely populated states, with a population of just over 850,000. South Dakota is, let’s be honest, not on many people’s visit list. South Dakota is, in my opinion, one of the most underrated states of America. Home to a plethora of scenic wonders, from the Black Hills national forest through to the famous Badlands, even below the surface of the ground South Dakota is a natural wonder; huge cave systems, including some of the largest in the world, criss-cross the state. 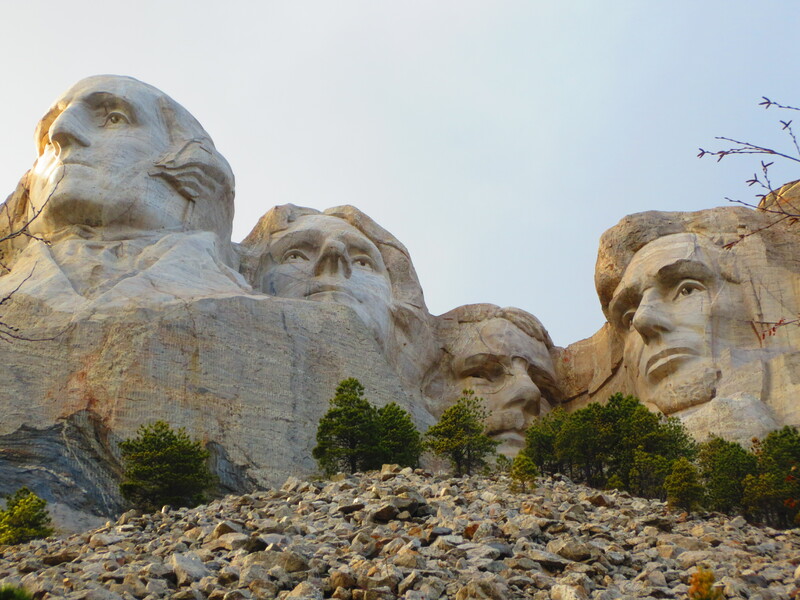 But above all, SD is world famous for, of course, Mount Rushmore. First of all, I should mention that I am a huge geek when it comes to American history. Seriously. I am a massive nerd, and proud – I used to be able to name all 44 American Presidents from way-back-when to present, AND the years they were in office (George Washington, 1789-1997, John Adams, 1797-1801, Thomas Jefferson, 1801-1809… I could go on). Sad I know. Don’t judge me. ANYWAY South Dakota was somewhat an impromptu detour on our so far completely impromptu road trip, but turned out to be so, so worth it. To see Mount Rushmore has always been a huge item on my bucket list but always seemed sort of far away, not particularly achievable… After all, as a Texan friend of mine once said, why the hell would I go all the way to the back of beyond just to see some faces carved in stone? He was wrong, so wrong. As we rounded the corner, once the temporary blindness from the unexpected and uncharacteristic (for the time of year) sun subsided, Mount Rushmore emerged in front of our eyes, high upon the mountain side. It was AMAZING. I can be realistic, okay – I love this kind of thing and was SO over-excited at this point that even had it not been awesome, it would have been awesome. For me. 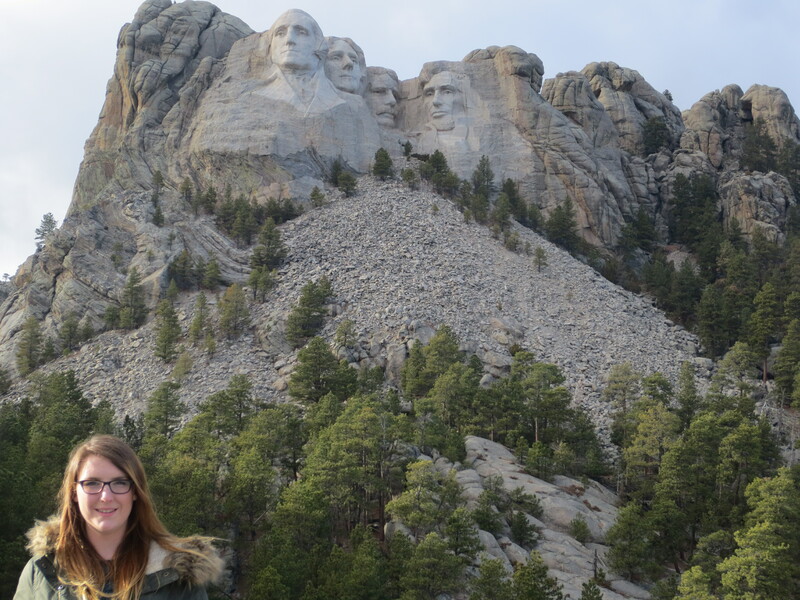 But I honestly was not expecting it to be so… Mount Rushmore is impressive. I cannot say it enough. Don’t be fooled by my ambivalent facial expression there. I was probably hyperventilating from over-excitement. 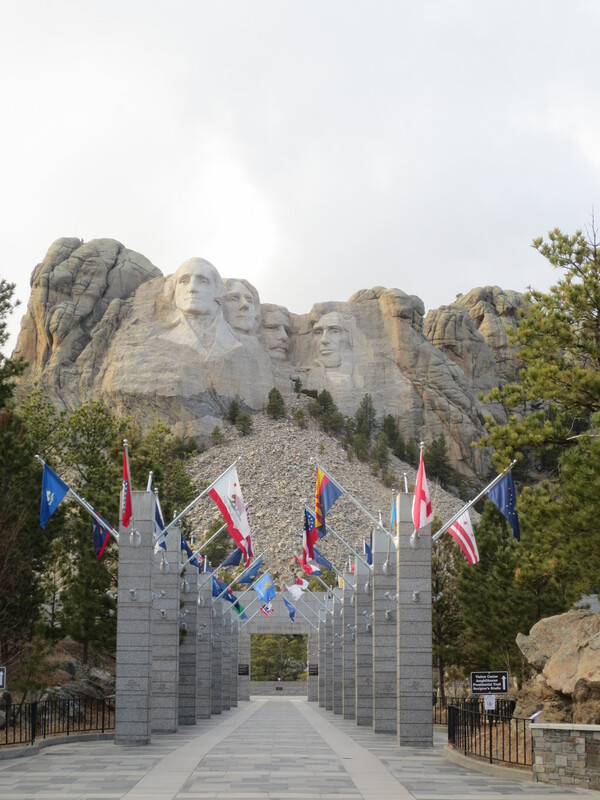 Seriously, put Mount Rushmore on your bucket list – ideally in Autumn or Winter, as in Summer we were told the place sees more than 5,000 visitors per day. The monument has amazing boardwalks, detailing the whole history of the presidents themselves, but also the building of the monument, the toil and struggles faced in its carving (no pun intended). The sense of history in this place is incredible. You can almost feel Honest Abe’s eyes on you, thanking you for coming. George Washington surveys the modern world he created, sighing proudly. Old Teddy Roosevelt smiles down, tipping his hat and murmuring, “God bless America”. God bless bloody America indeed, Ted.